← A weekend zooming around town. Advice from the first year of motherhood. If there’s one thing I love about blogging, it’s giving unsolicited advice. Well, that and ‘meeting’ other moms who are in the same stage of life I am! Today I’m combining these two loves! 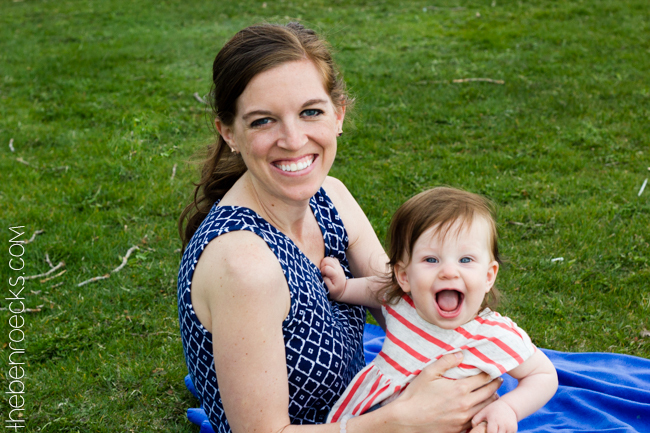 Julie from Everyday Happiness is here with me to share some tidbits of advice that she has after her first year of being a mama, and of course I’m chiming in with my own two cents. Note to self: Get a more respectable family picture ASAP. J: I always love hosting baby showers alongside other friends. I’m not the craftiest or most creative planner, but I enjoy working in groups and coming up with fun themes and decor for showers. L: I agree with Julie, working in groups is key! Also, I personally love the game where everyone tries baby food and guesses what flavor it is. The diaper game with the candy bars… I could gag just thinking about it. J: Being pregnant with my son Shepard was one of the best times of my life. That said, my first trimester I spent most of the time carrying around a plastic bag because I was going to vomit at any moment. I lost about 10 pounds, but had no problem putting that on once my appetite came back around in my second trimester. I also kept up running on a regular basis during my pregnancy, and I credit that to feeling energetic, healthy and balanced during my pregnancy. L: I lost weight in my first trimester, too! I was nauseous all of the time but only threw up once, thank goodness! I always tell people to workout as much as possible in the second trimester, because by the third you’ll probably be sitting around a lot. On the final few weeks of pregnancy. J: One word: SWOLLEN! I was only able to wear about two pairs of shoes those last two weeks and I was so excited to meet my son. I went for daily hourly walks to help with the swelling and to keep my energy levels up despite feeling like a beached whale! L: My final few weeks of pregnancy lasted over a month since Clara was almost two weeks late! My advice is rest, rest, rest and sleep as much as you can, because you never know when labor might start. J: So many emotions with my birthday story (which you can read in its entirety here). Overall, it was a special time for my husband and I. My son was an emergency C-section because his cord was wrapped around his neck three times, so that period of time where our doctor was deciding what to do was really scary. But once I saw his beautiful face, it was all worth it. L: We were in the emergency c-section boat as well, because Clara never dropped into my pelvis and her heart rate when crazy after so many hours of labor (and a ton of drugs). I would say go into it with an open mind but a plan. Even if the plan doesn’t happen, I think it’s best to be prepared with the ideal scenario instead of simply hoping for the best. J: I struggled to nurse and ended up nursing for about two months before moving to solely exclusive pumping, which I maintained for about 9 months. My supply was never where it needed to be, but providing my son breast milk was important to me. I’m happy I stuck with it for the time I did, and I think it’s important for all moms to feel proud of whatever their breastfeeding story is. I always felt inadequate because I couldn’t say I conventionally nursed, but over time I’ve realized there is no “right” way and I did the best I could. L: I had a really easy time with nursing, but my advice is to nurse as often as possible in the beginning to ensure you keep making enough milk. Of course, you might still have supply issues, but it definitely helps to keep the baby latched as often as possible in the first few weeks. Also, get used to breastfeeding in public because it makes life way easier. J: Sleep is something I don’t do well without. Thankfully, my son was for the most part a solid sleeper. He started sleeping through the night about 3 months, and while there have been a few rough nights here and there, for the most part has a really predictable schedule and sleeps well. I swear by the Zipadee-Zip, a sleep sack my son has used since four months. I just recently wrote this blog post about some of our sleep secrets. L: I learned that ‘sleeping through the night’ is technically any 5 hour stretch but I disagree with this because to me sleeping through the night is when she sleeps until at least 6am after falling asleep at a regular hour. So basically Clara just started sleeping through the night last week and my entire life has changed because of it. We didn’t do any ‘cry it out’ methods because my heart just couldn’t handle it. I would say my advice is just to do whatever feels best for you and only read advice on that. Don’t read too much conflicting advice because you’ll feel like you’re damaging your kid no matter what – this goes for all parenting topics! On keeping your sanity with a newborn. J: I remember when Shep was around 3 weeks old, I had a breakdown and thought my life as I knew it was over. I think it’s important to remember a) your body is racing with hormones. Some of your thoughts may not be completely based on experience. b) It all passes. The rough nights pass. The colicky periods pass. Your baby will become a toddler and your toddler will become a child. Savor as much as you can because it’s so fleeting. One day we will look back on those sleepless nights and yearn for that time with our kids. L: I want the newborn stage back so badly some days! We loved the newborn stage. I used to sit around and watch TV shows and shower and do all of these things alone because Clara slept most of the day and couldn’t follow me around and into the bathroom and hang on my legs wanting to be picked up and chew on cords and… (can you tell I’m dealing with a full-blown toddler now?) Basically, enjoy it while it lasts and also go out to dinner and even travel as much as possible. Yeah you might feel like crap, but babies are so much more portable when they’re tiny. On feeding your baby solids. J: I may have done it a little early (around 4 months) but it was a pretty smooth process for us. I wish I would have made his food earlier, it was so much more cost effective and easier than I thought it would be. L: I thought I would do baby led weaning but it didn’t work so well for us, so I made purees until she had an interest in solid food. I say hold off on solids for as long as possible, especially if you’re breastfeeding! On adjusting to life as a family of three. J: It was a natural adjustment for Clint and I, we had gotten married about two years earlier, and were so excited to welcome a child to our family. The timing was absolutely right and I can’t imagine life before Shepard joined us! L: Life and your marriage will forever be changed, but in the best way! Take advantage of babysitters (especially if they’re family members who want alone time with your baby!). Tim and I have one date night per week and I absolutely love it. Sometimes we go out alone and sometimes we go out with childless friends… it’s always a great time. Whew, did you get all of that?! Remember to check out Julie on her blog, Instagram, Facebook, Pinterest, and/or Twitter! She’s such a sweet mom and wife and I think you’ll love reading what she has to say about her life and the transition to being a new(ish) mom! This entry was posted in motherhood and tagged advice, moterhood. Bookmark the permalink. 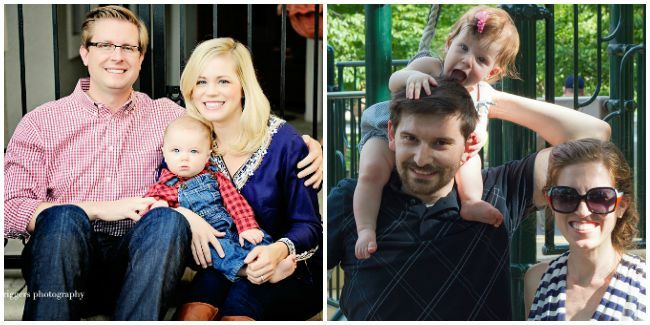 4 Responses to Advice from the first year of motherhood. Now I’m going to read her post on exclusively pumping. Since my experience with that was not what I wanted it to be, well, that entire experience was everything I didn’t want it to be. I have a whole list of “for more success next time” items that I know I can control (since a baby with jaundice who has to be fed a specific amount was out of my control) and I love reading other people’s experiences. I hear ya. Breastfeeding went really well for us but I feel similarly about labor and delivery – I had awesome plans but it didn’t go as well as I had hoped and I’m already trying to figure out what I can do differently next time (God willing) to get a ‘better’ result! Love this post…great tips for sure! And I am an exclusive pumper too! Wow, I don’t know how moms manage to exclusively pump, I never got a great output with it! But, I guess I never needed to pump that regularly. Now I’m working on weaning Clara during the day and it isn’t an easy process!